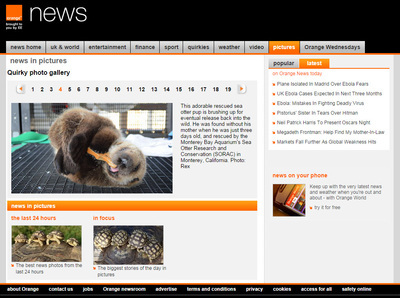 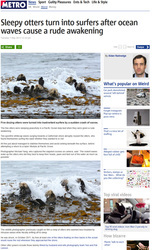 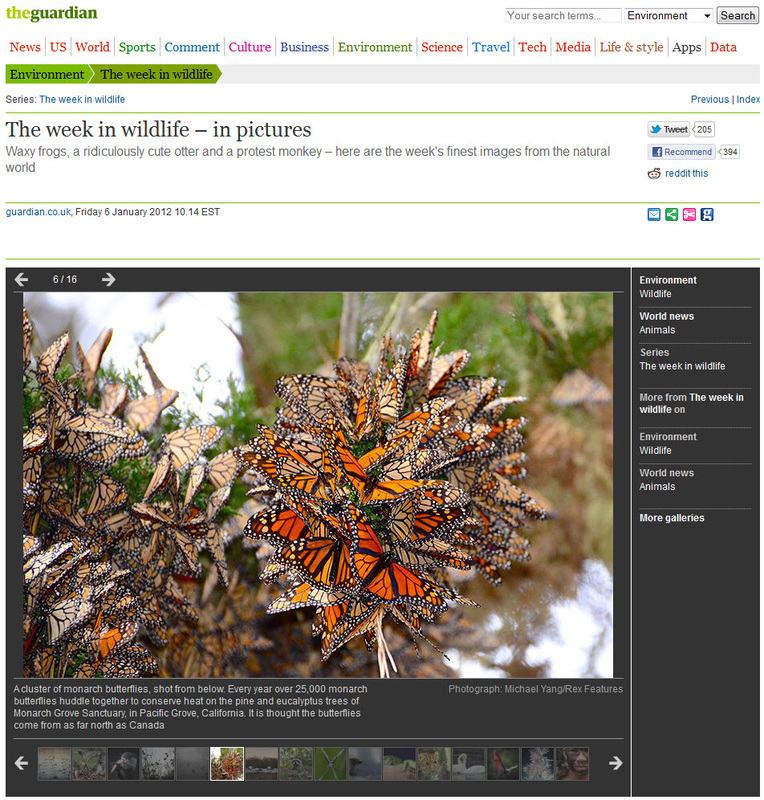 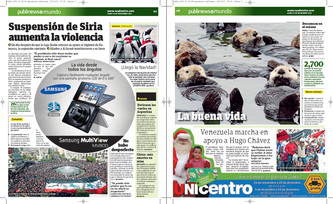 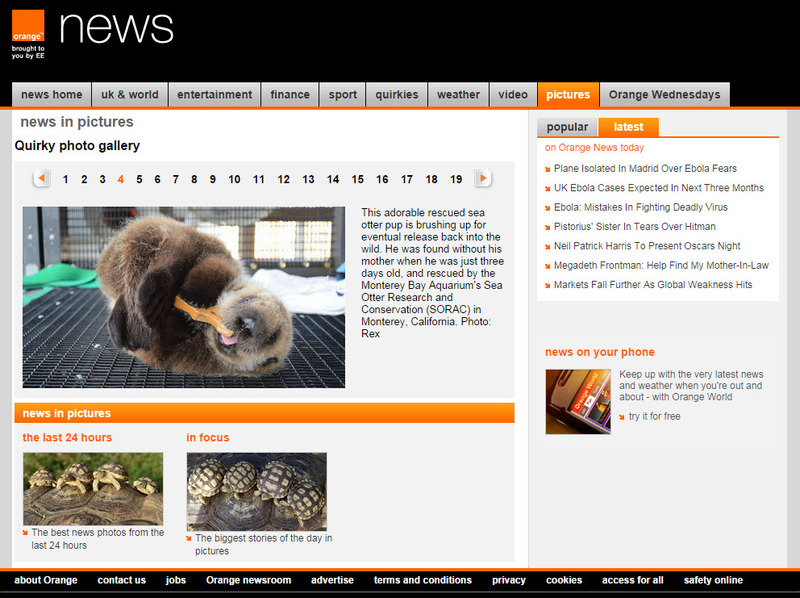 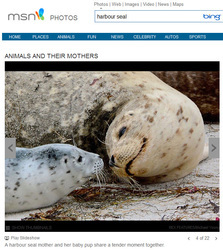 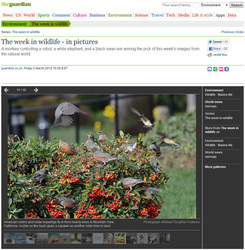 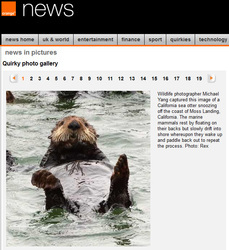 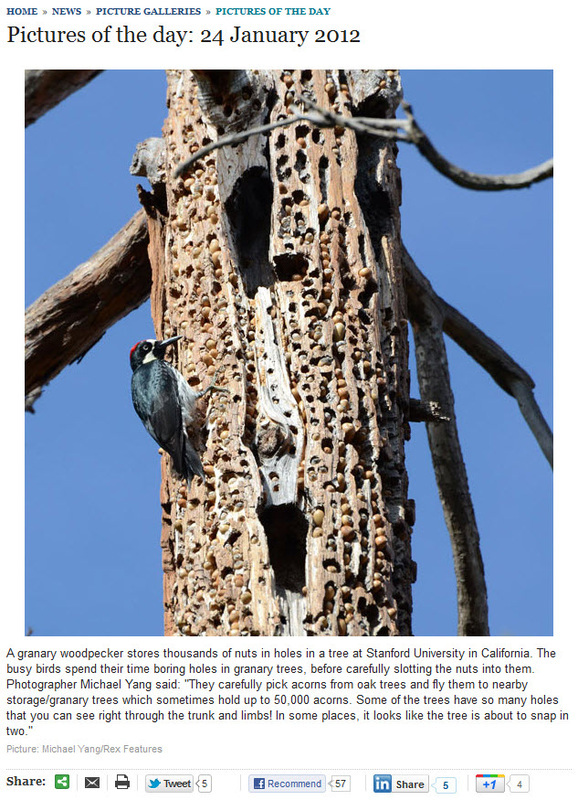 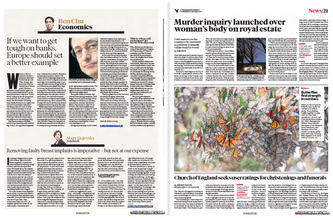 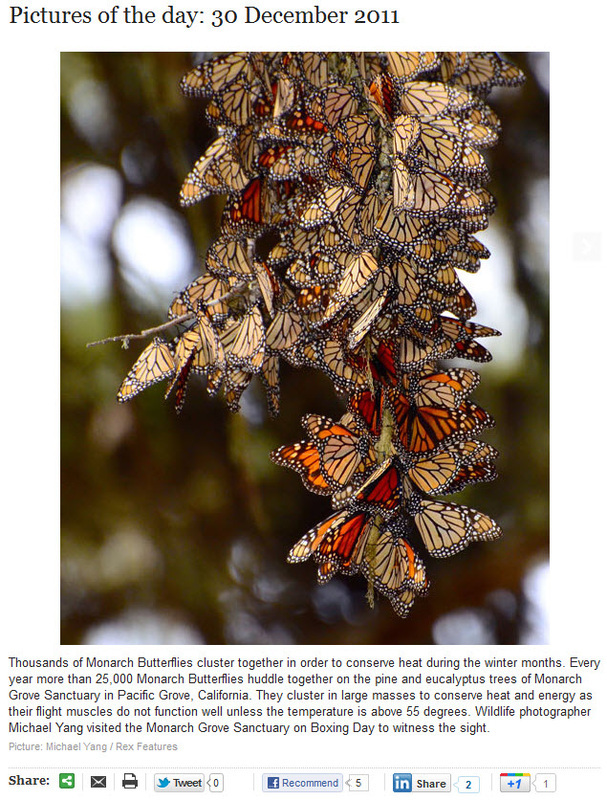 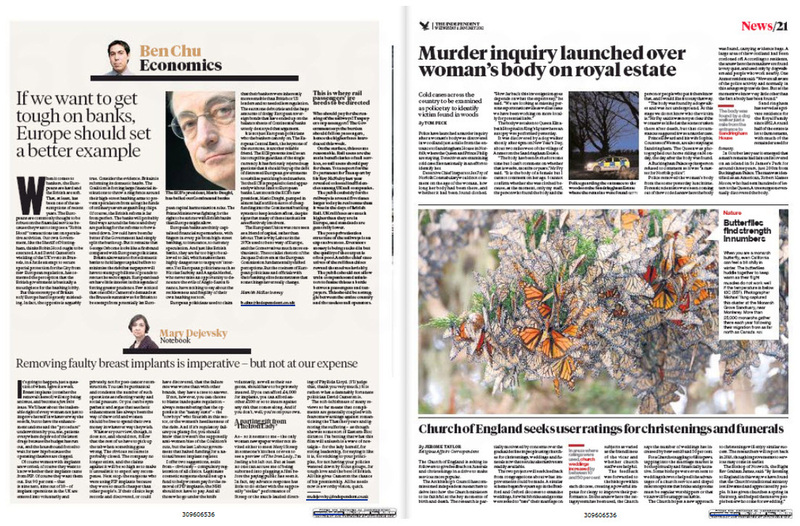 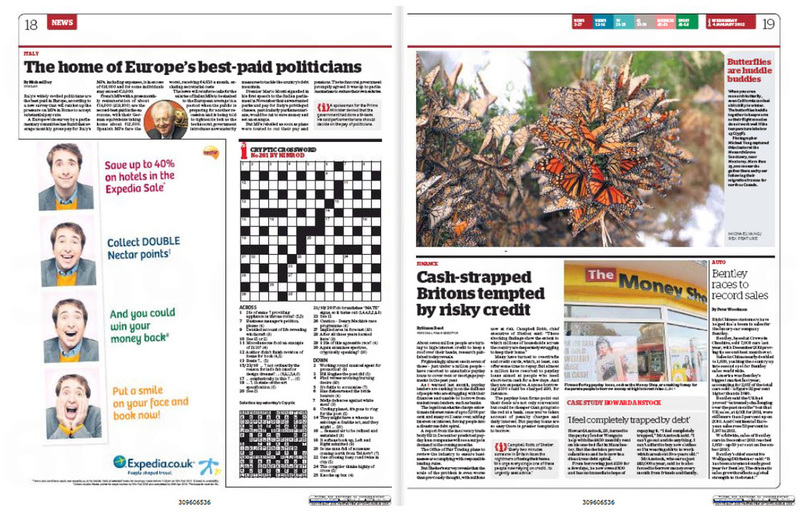 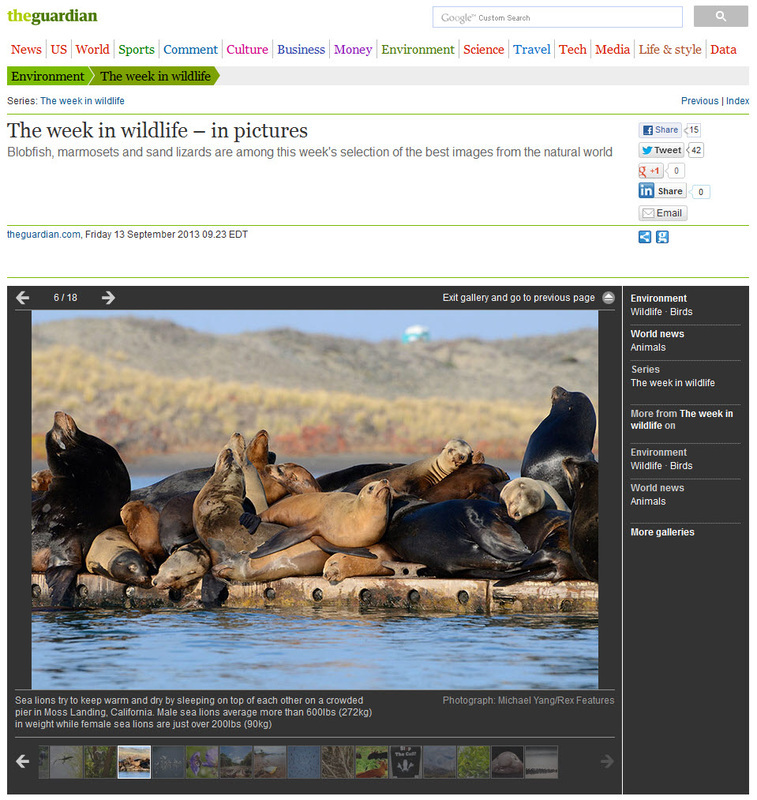 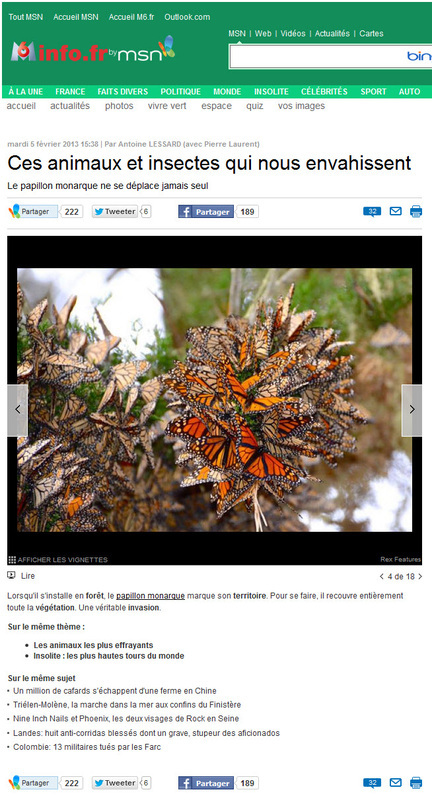 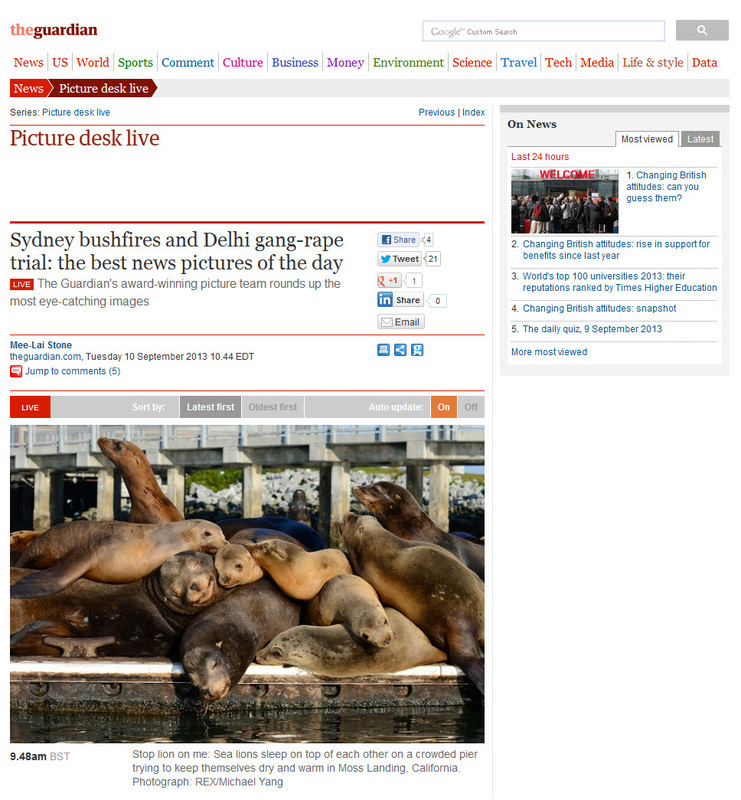 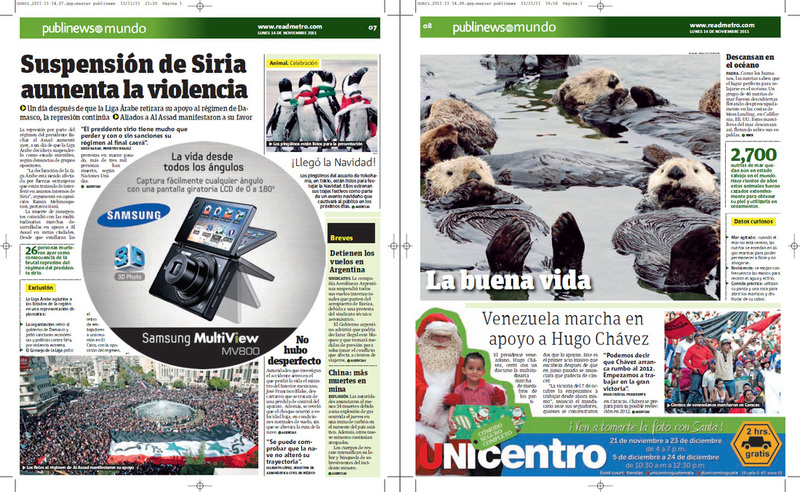 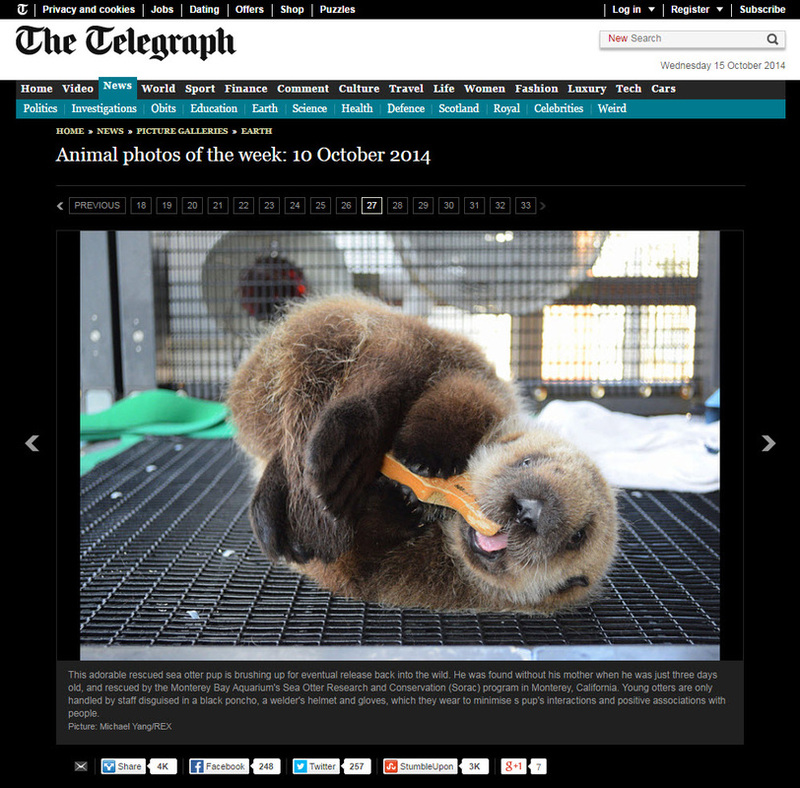 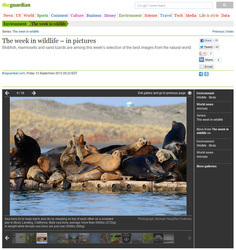 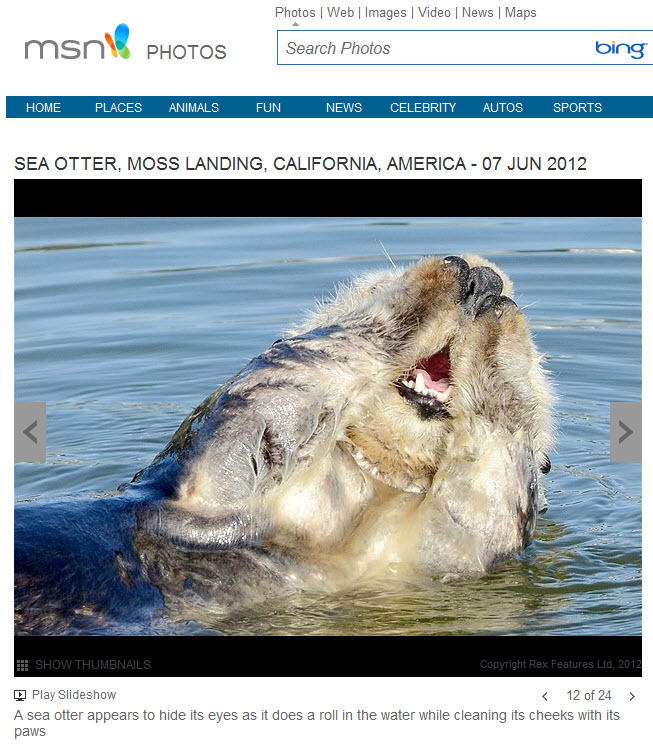 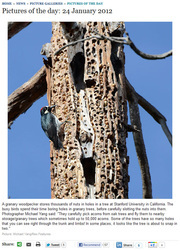 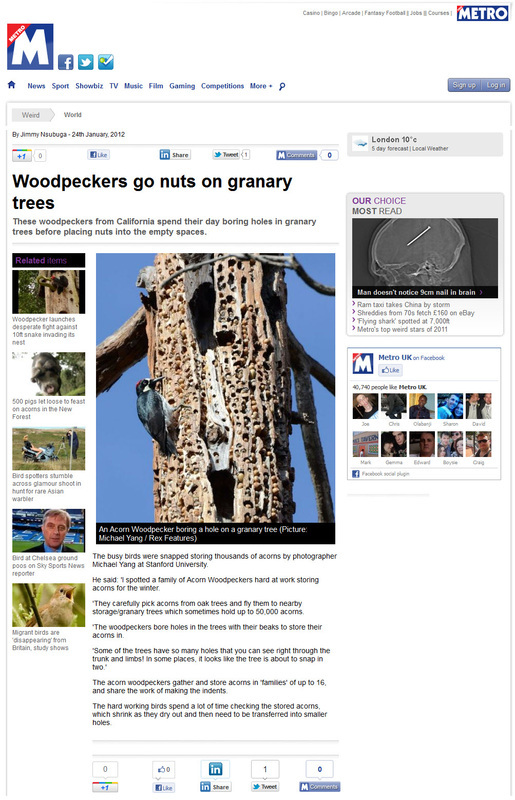 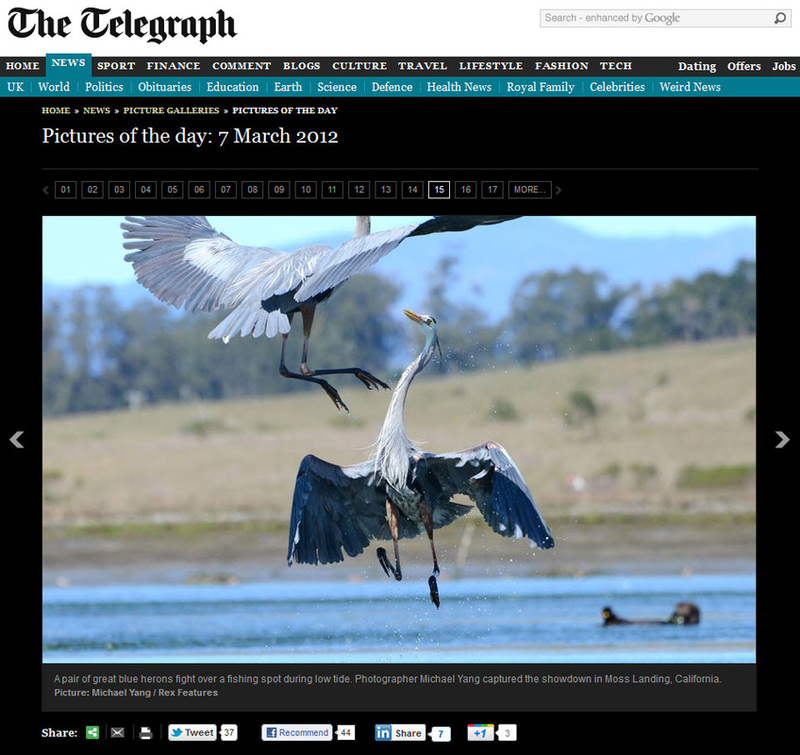 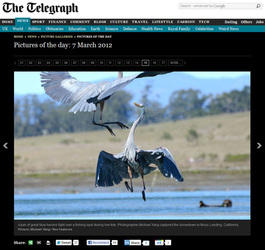 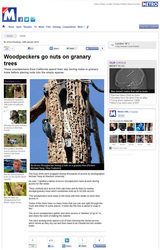 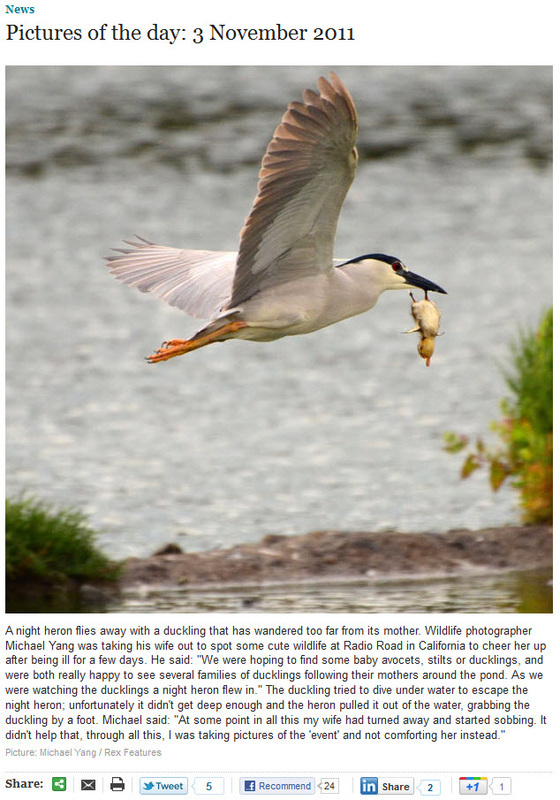 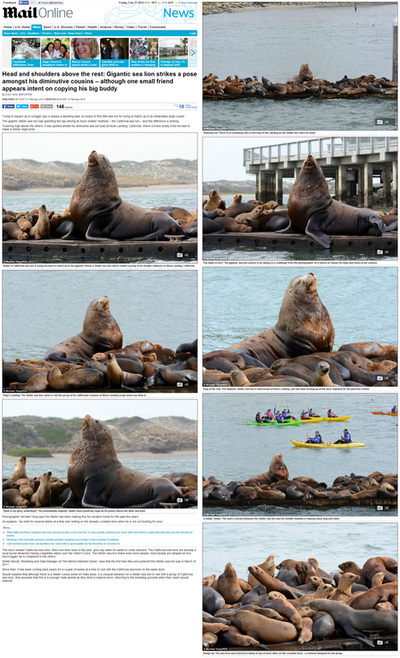 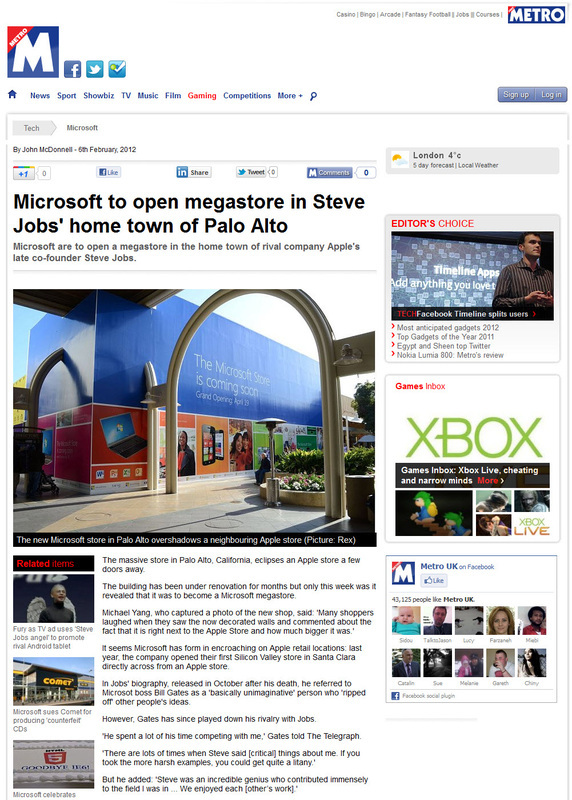 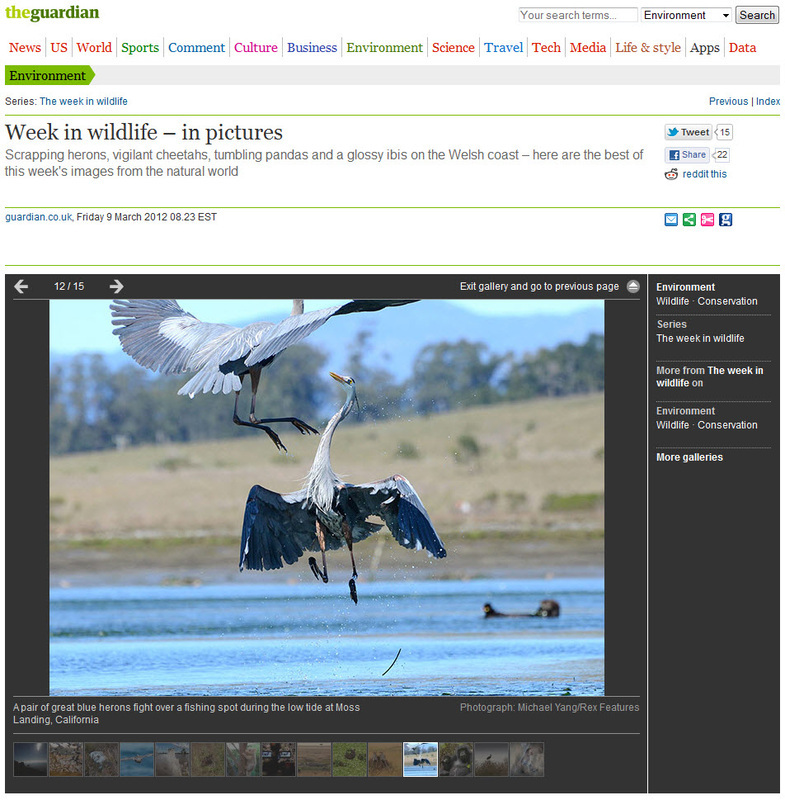 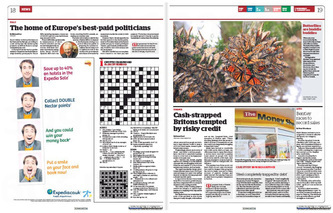 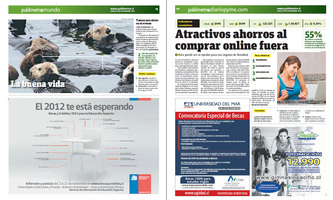 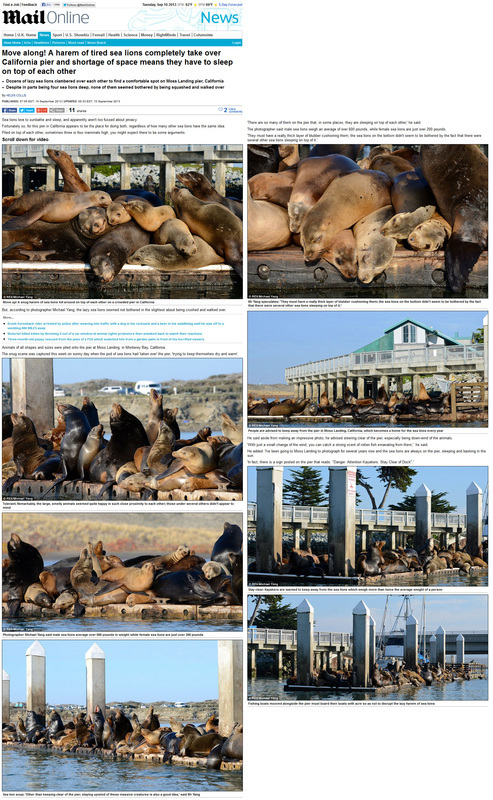 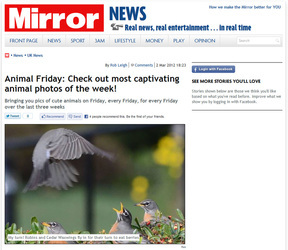 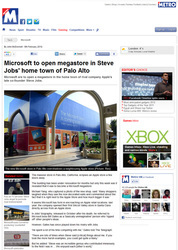 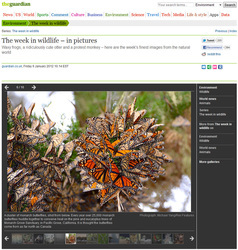 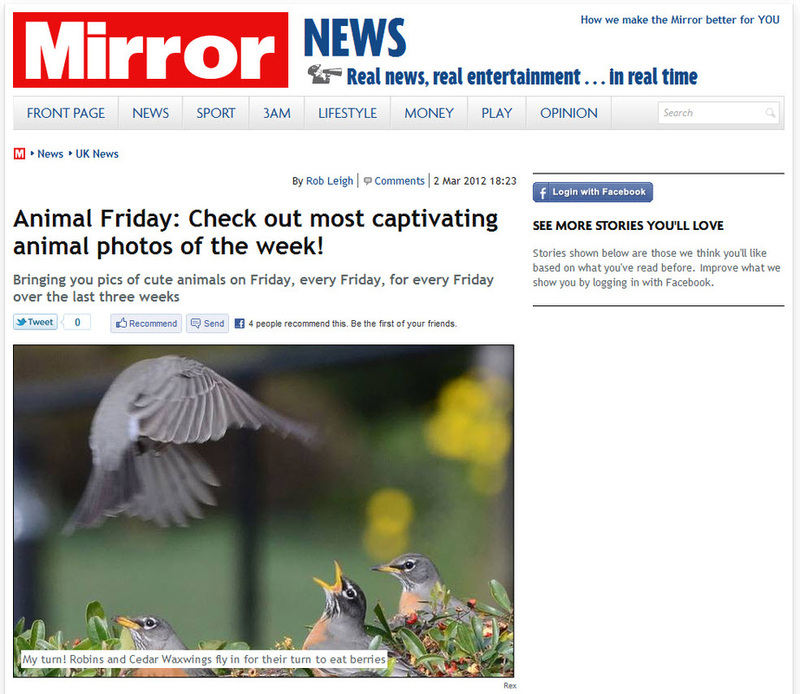 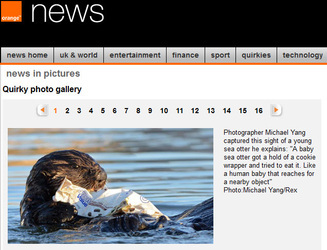 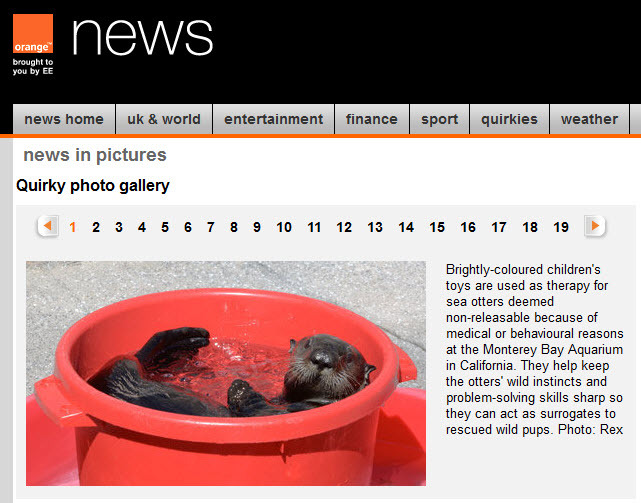 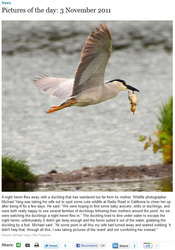 My photos and video have appeared in many major newspapers, magazines, TV shows, and zoos / aquariums. 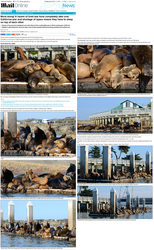 Find out more details about licensing my photos or buying prints. 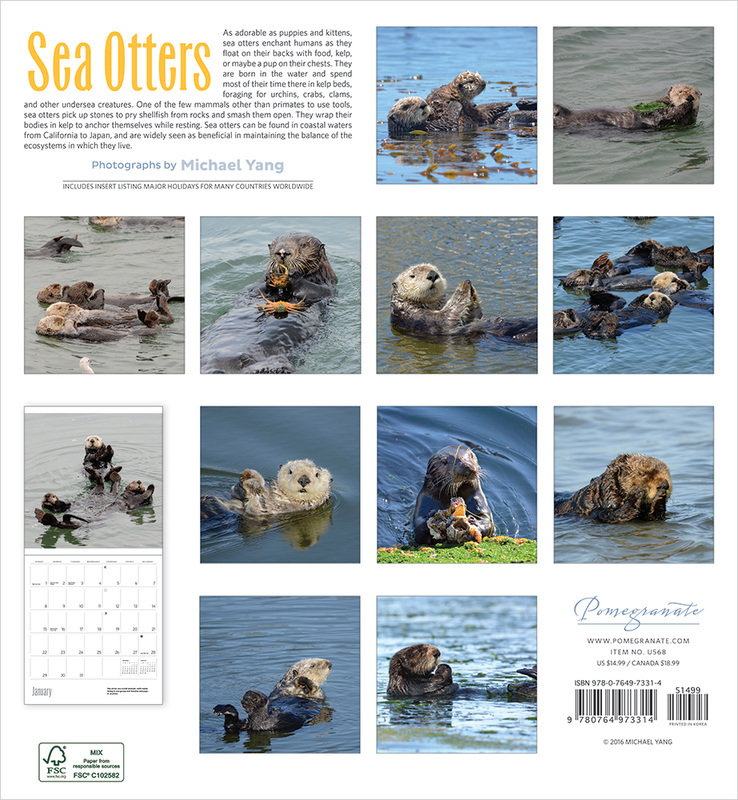 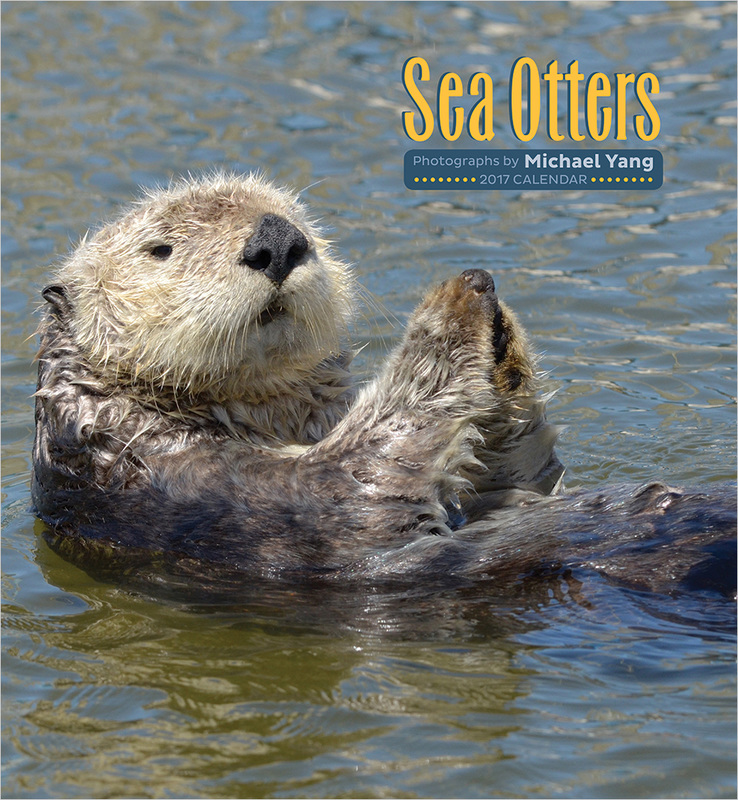 2017 Sea Otters Calendar published by Pomegranate features 12 of my sea otter photos, available at Amazon and other retailers. 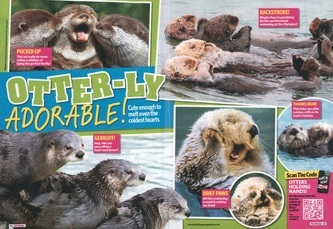 My wife and I did a photo shoot of the sea otters at the Monterey Bay Aquarium. 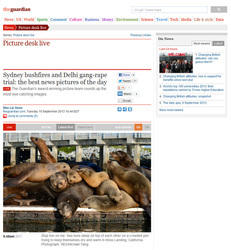 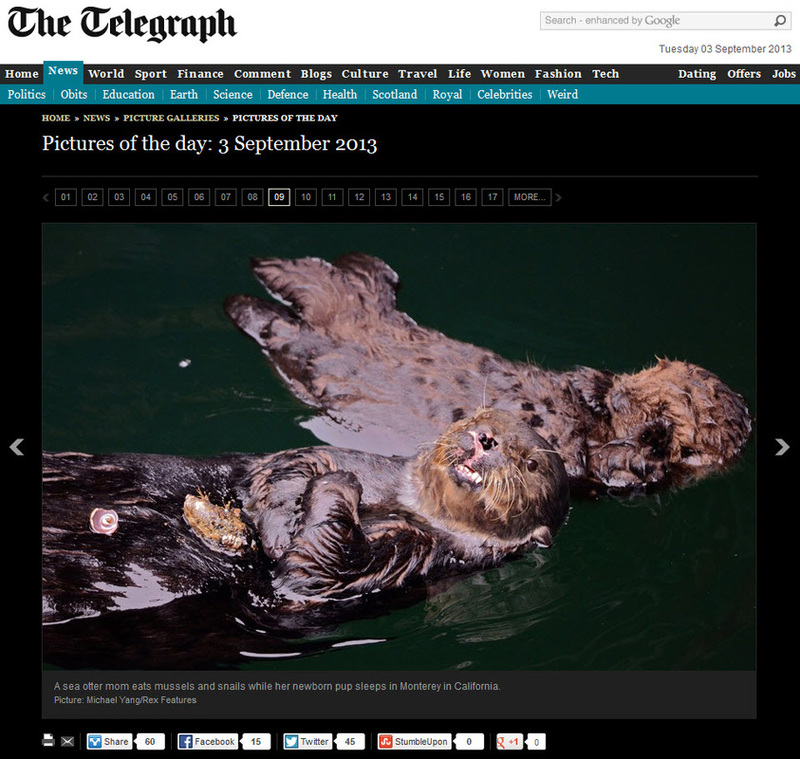 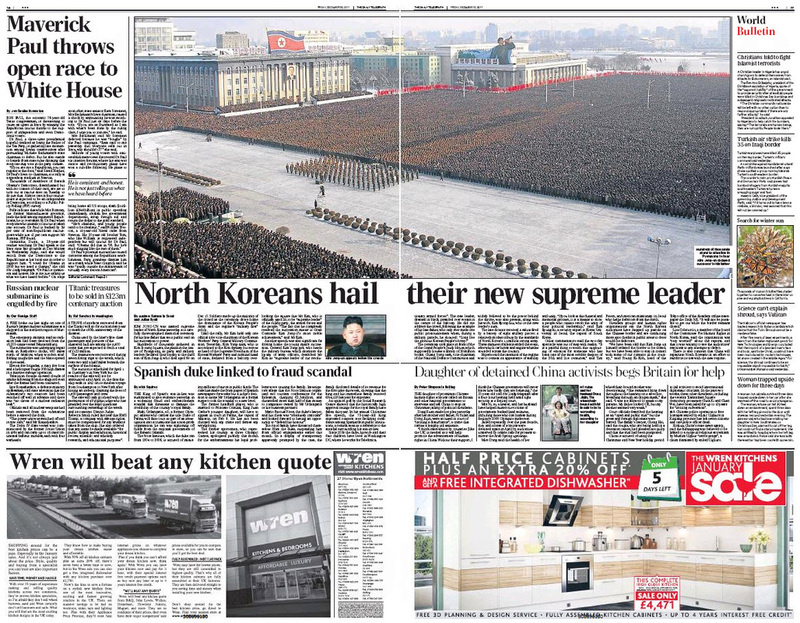 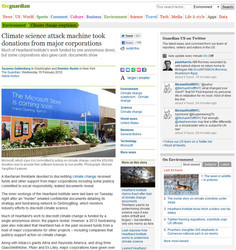 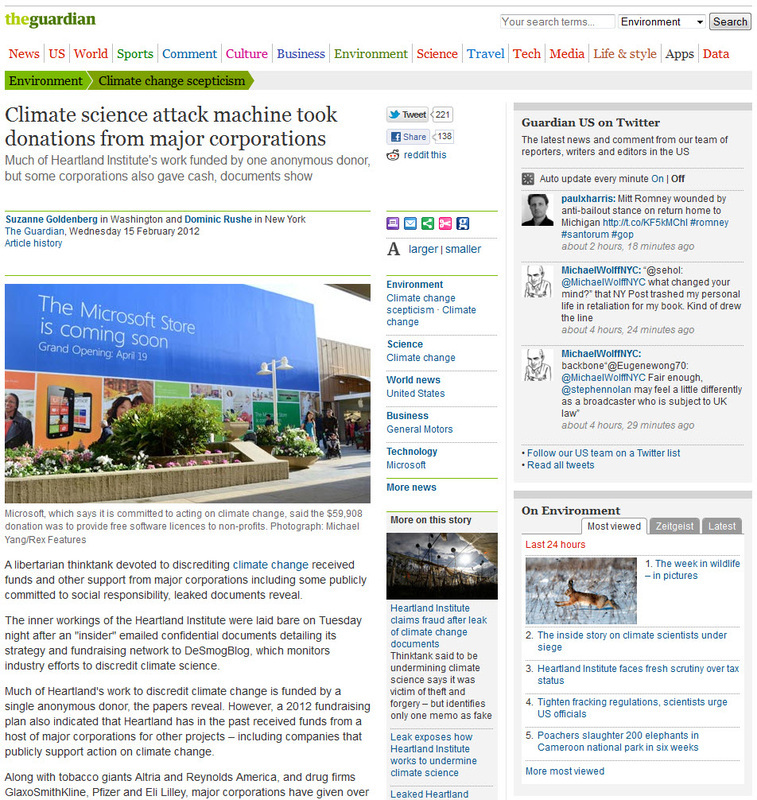 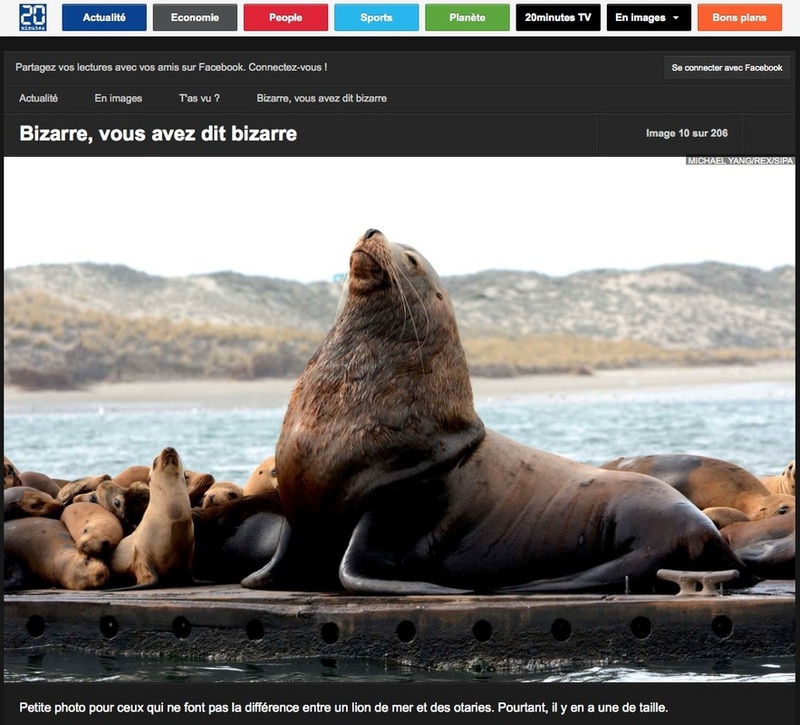 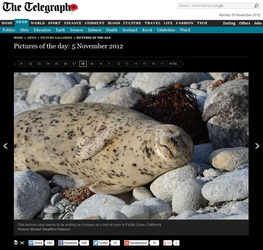 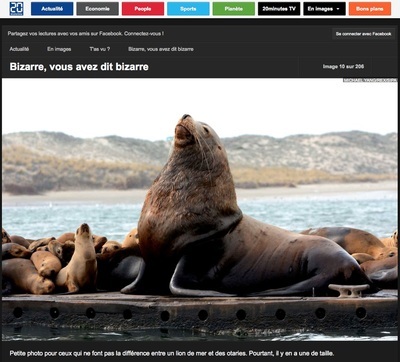 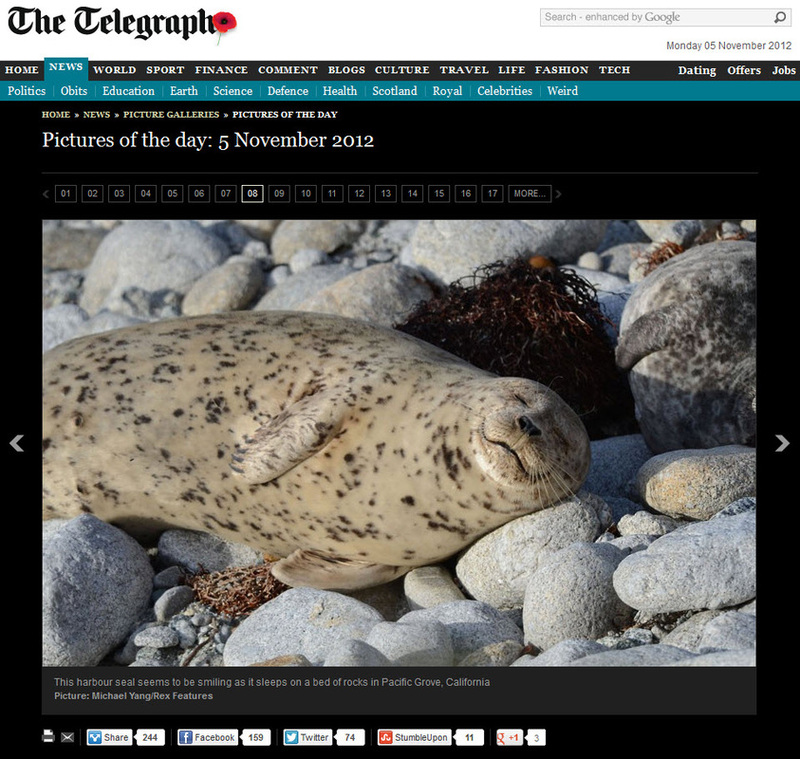 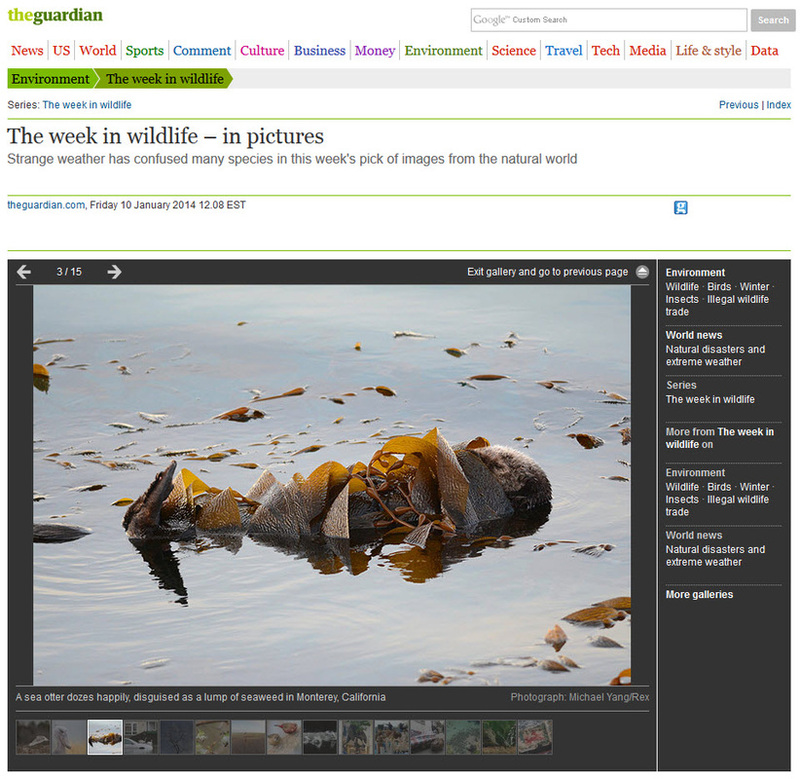 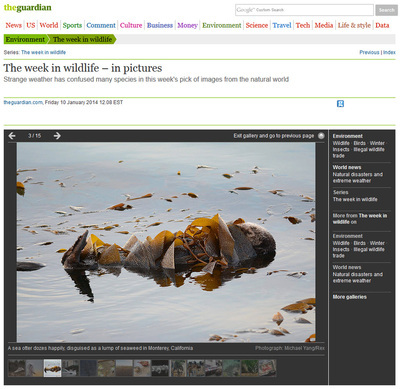 The photos were featured in newspapers around the world and are used by the aquarium for their projects and promotions. 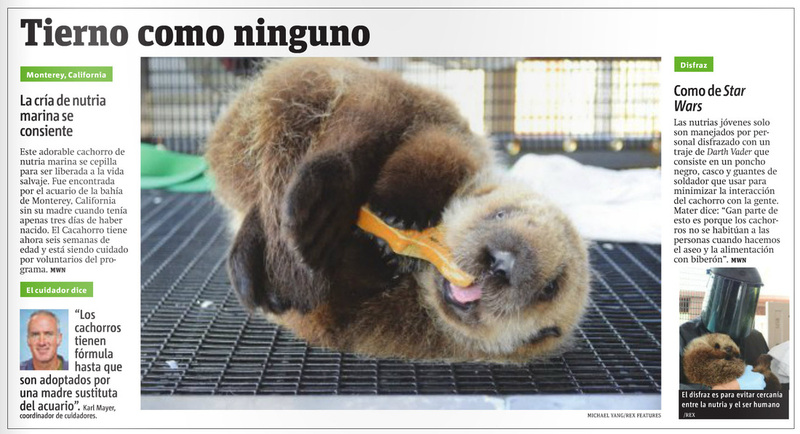 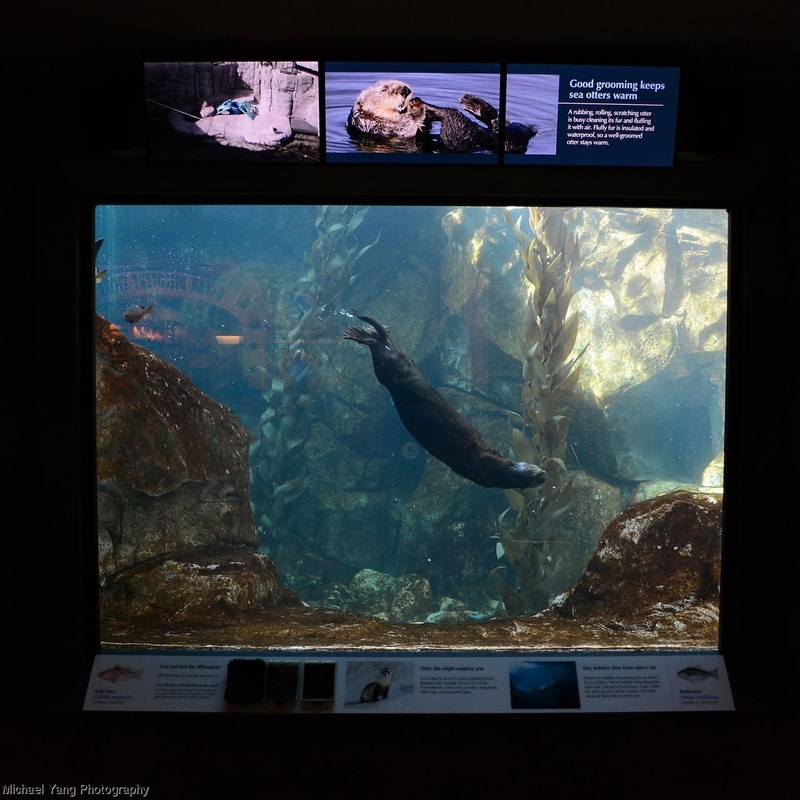 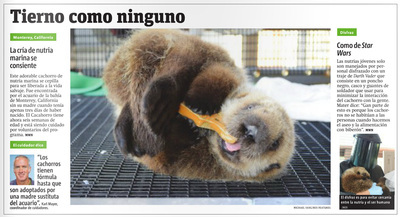 One of my photos of a sea otter grooming is permanently on display at the Monterey Bay Aquarium's Sea Otter Exhibit, newly reopened on 3/23/2013. 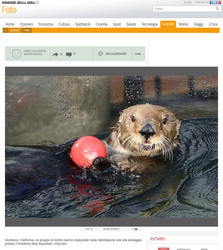 The photo is incorporated into a video graphic that is displayed above one of the viewing windows. 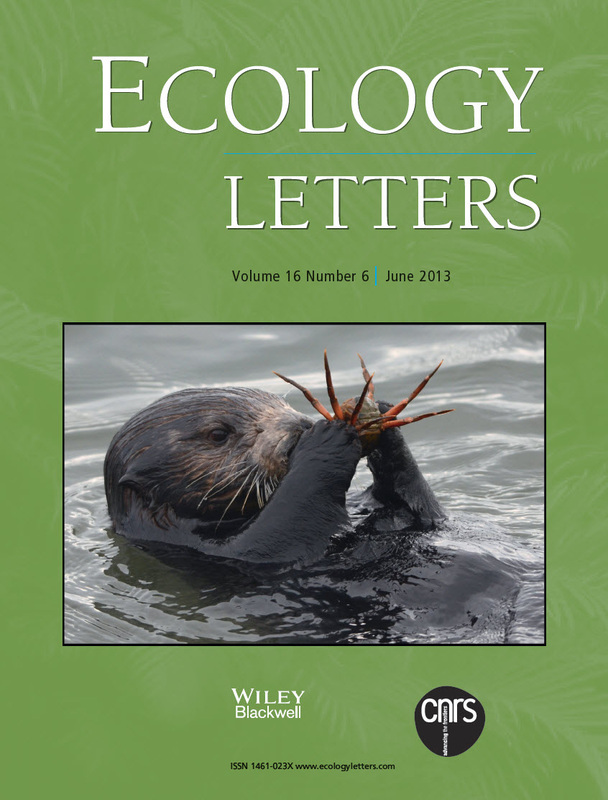 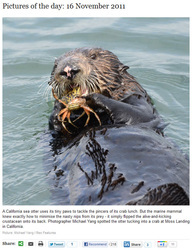 My cover photo of a native sea otter consuming an invasive green crab (Carcinus maenas) illustrates an example in Kimbro, Cheng, and Grosholz's article "Biotic resistance in marine environments." 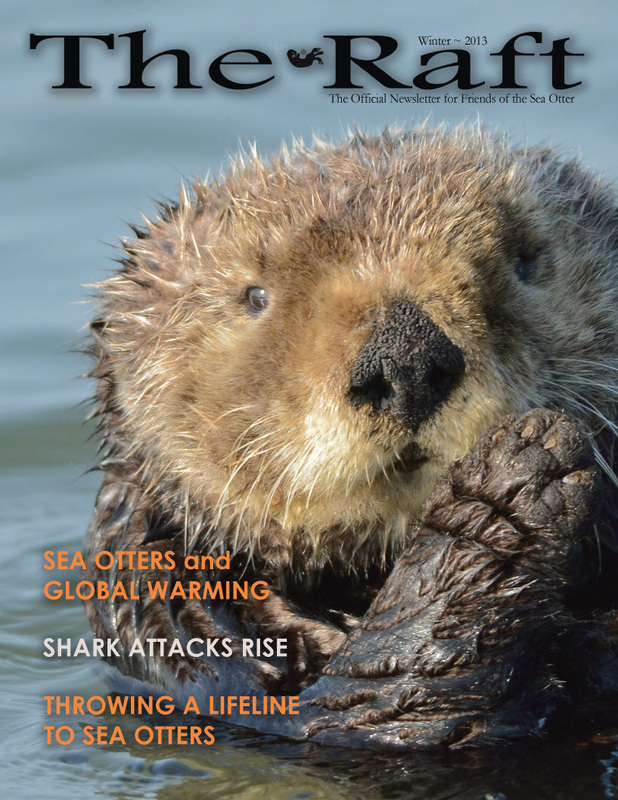 My cover photo of a sea otter portrait. 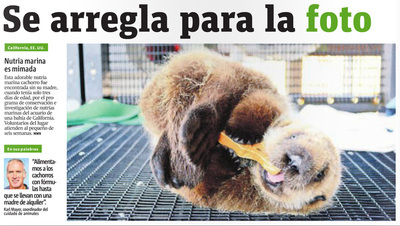 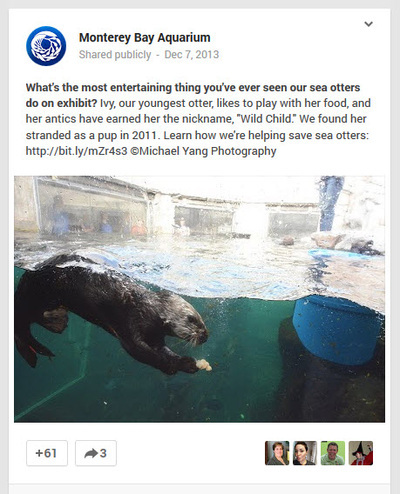 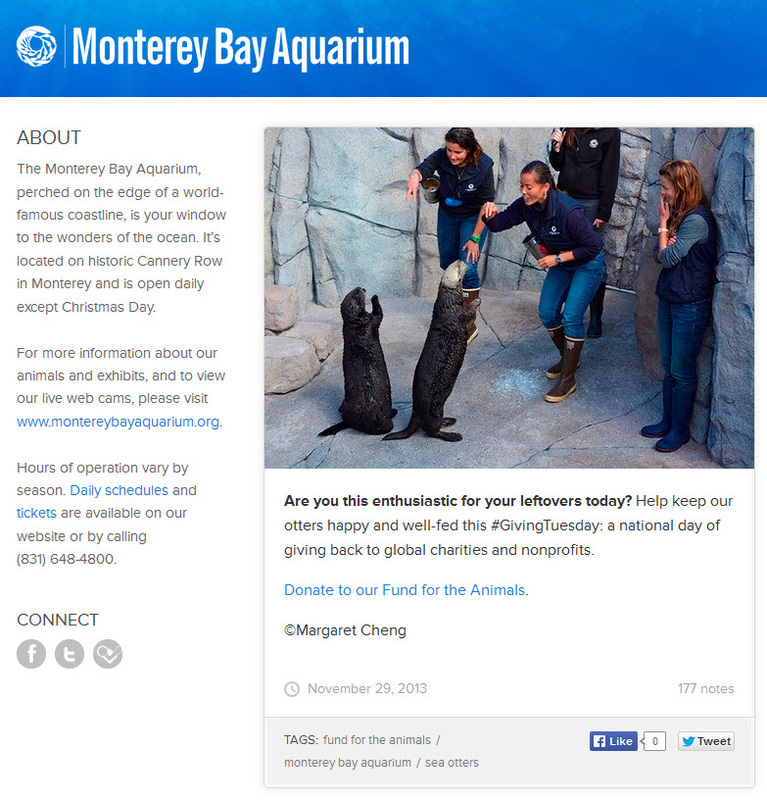 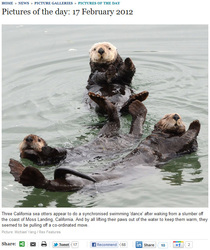 Friends of the Sea Otter is an advocacy group for the conservation of sea otters and preservation of their habitat. 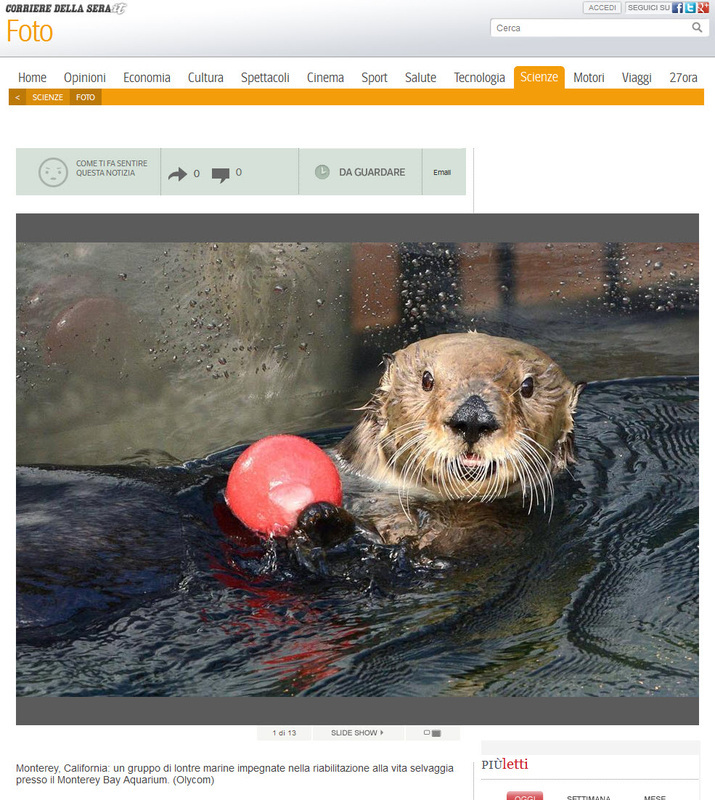 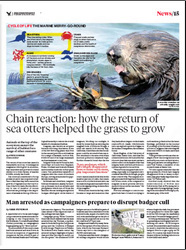 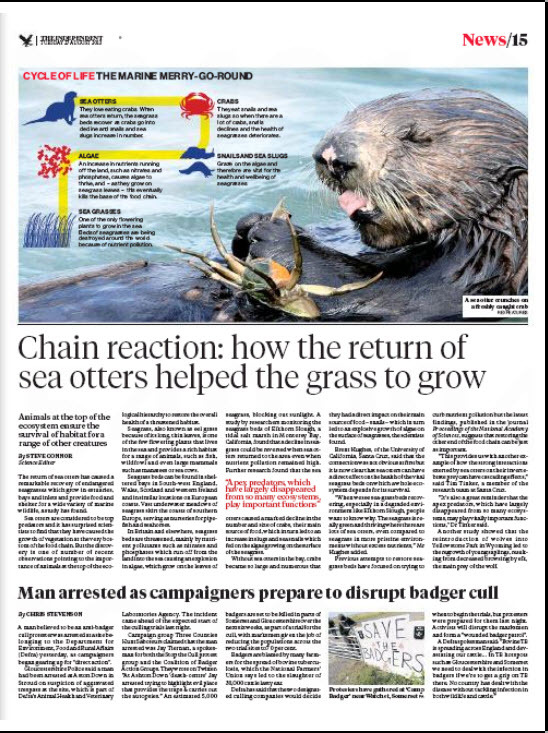 To help tell the story of Olive the Oiled Otter, Sea Rescue used a portion of my video footage of a sea otter resting on the beach. 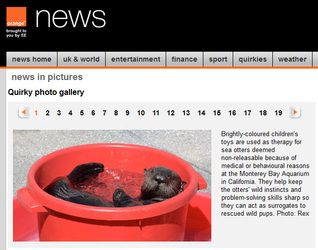 Sea Rescue is a TV show focusing on rescue and rehabilitation of marine animals. 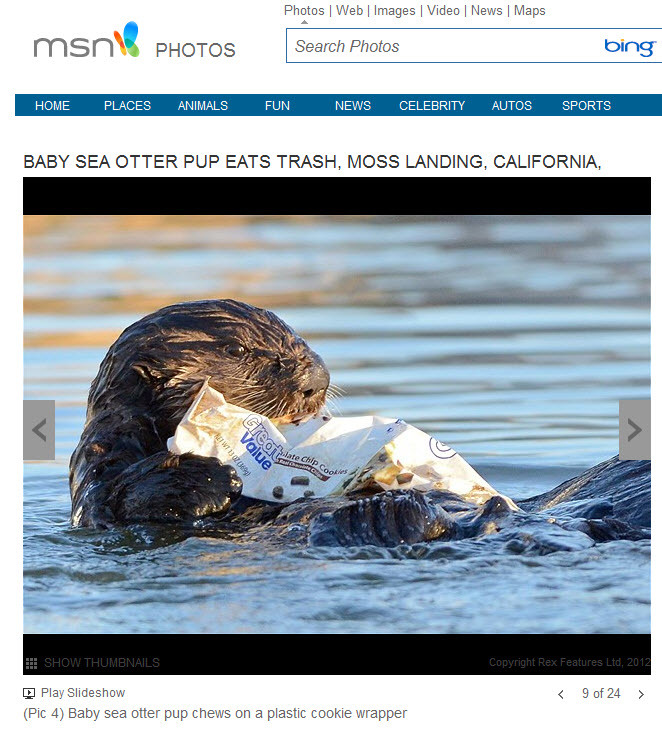 It airs weekly on Saturday mornings on ABC. 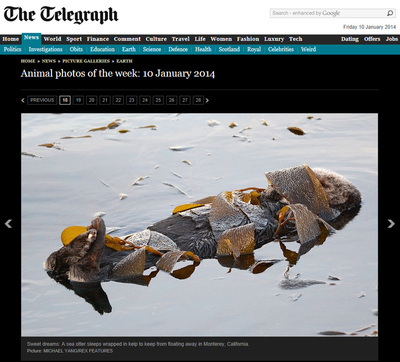 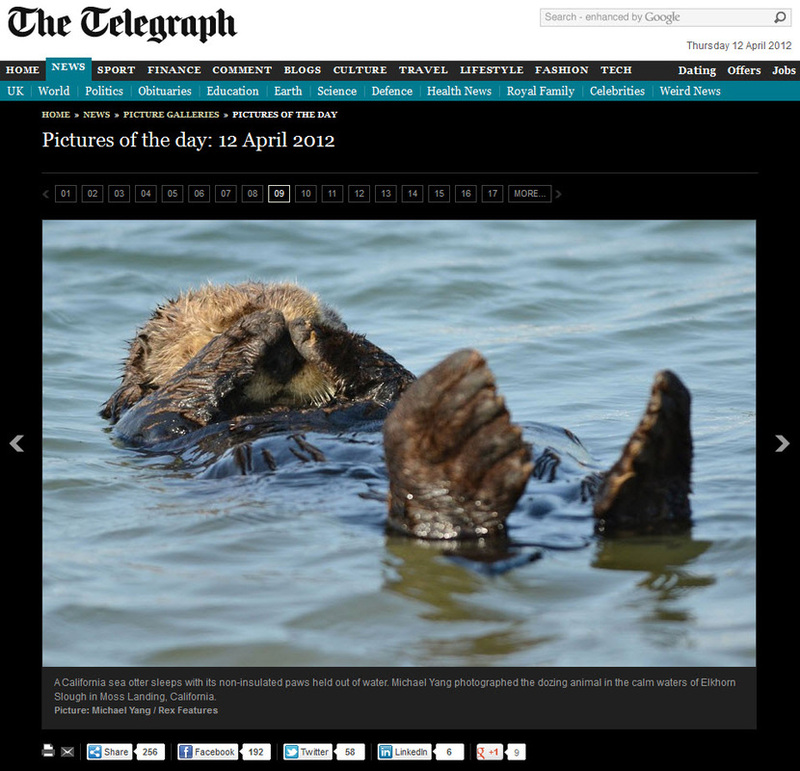 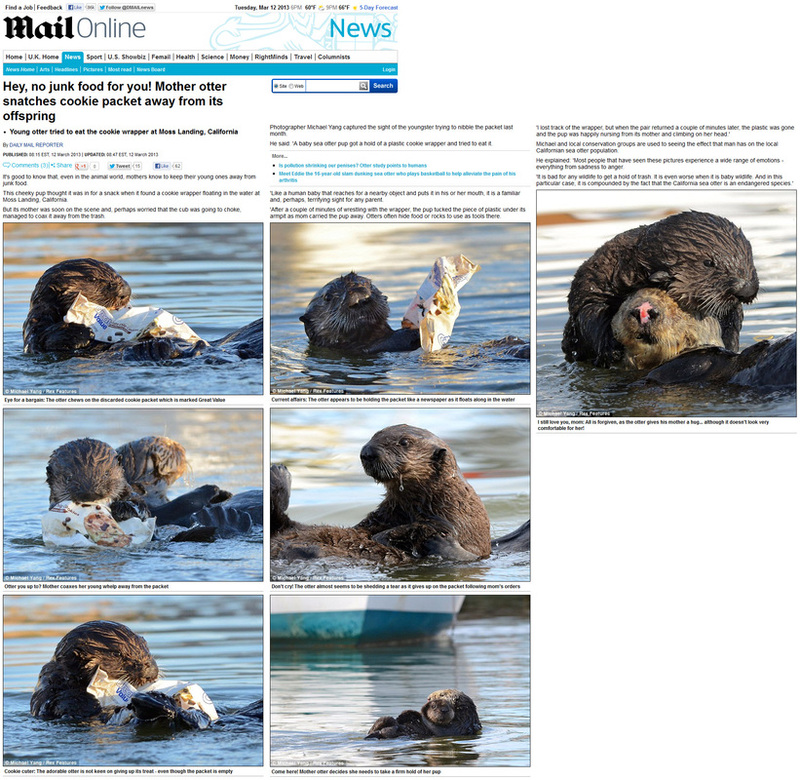 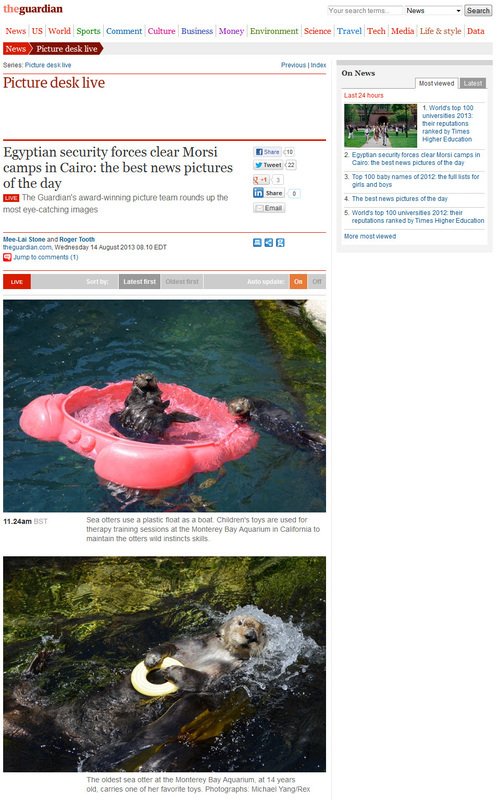 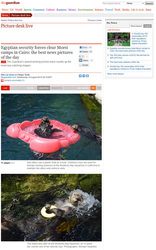 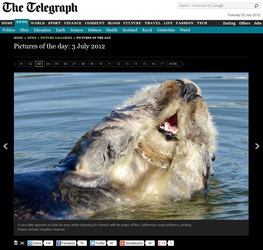 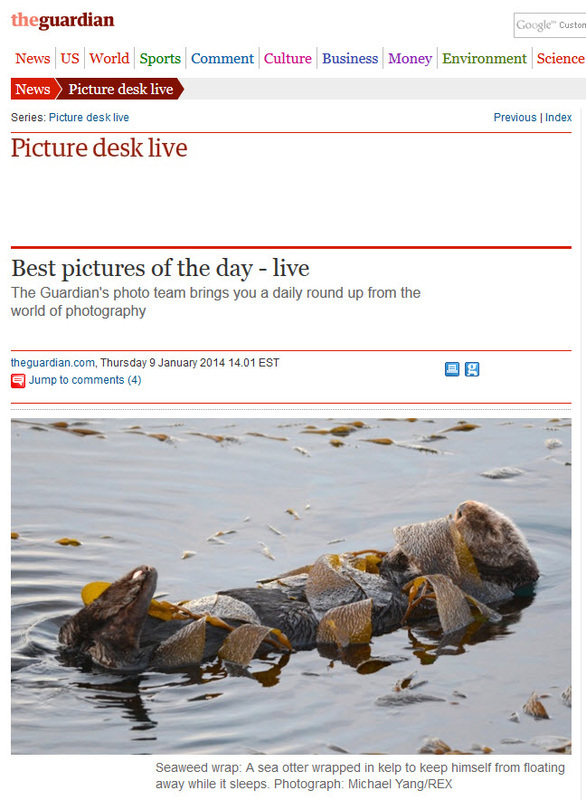 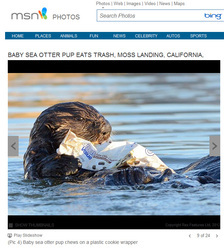 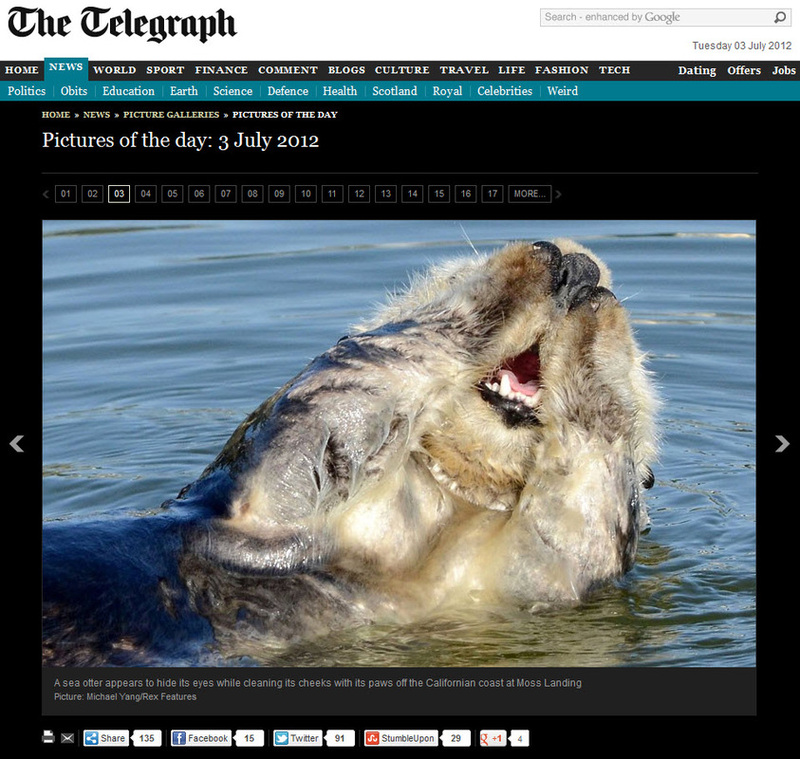 This series of photos was the culmination of a year's work photographing and observing the California sea otter. 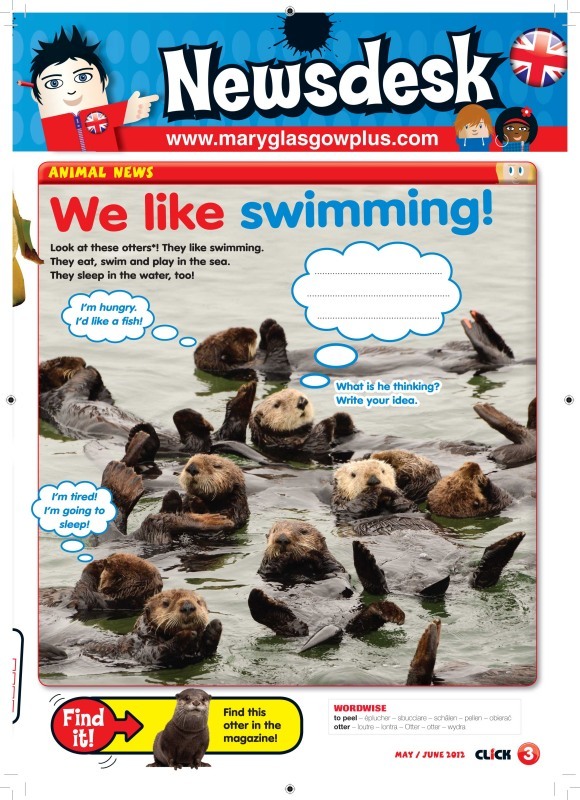 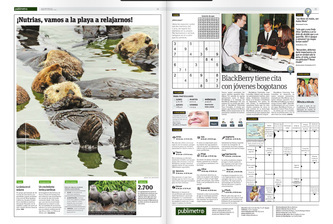 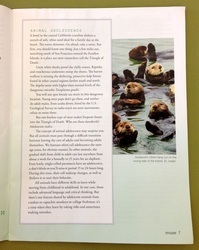 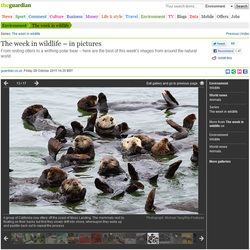 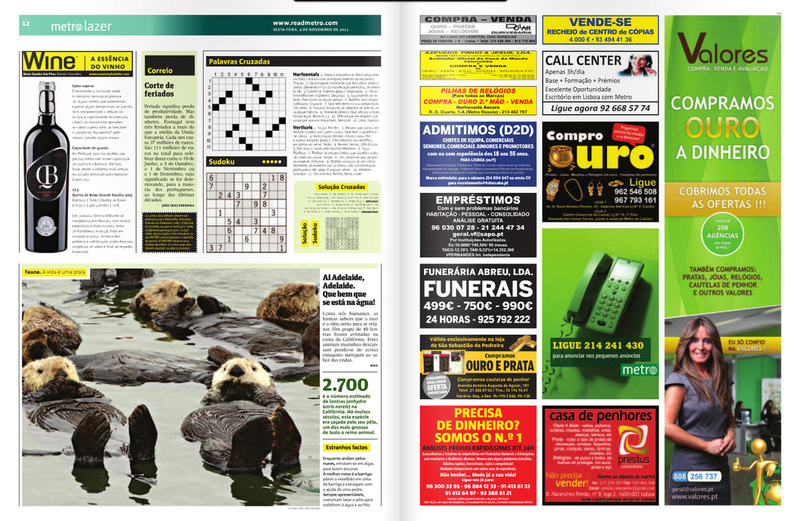 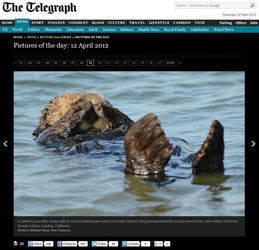 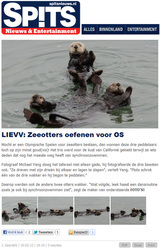 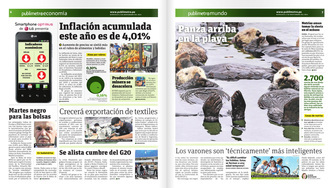 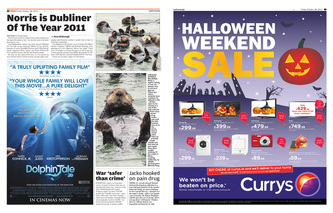 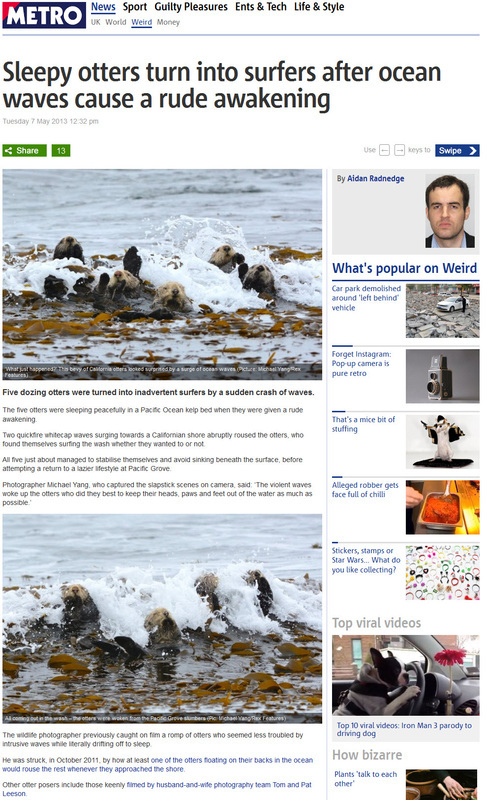 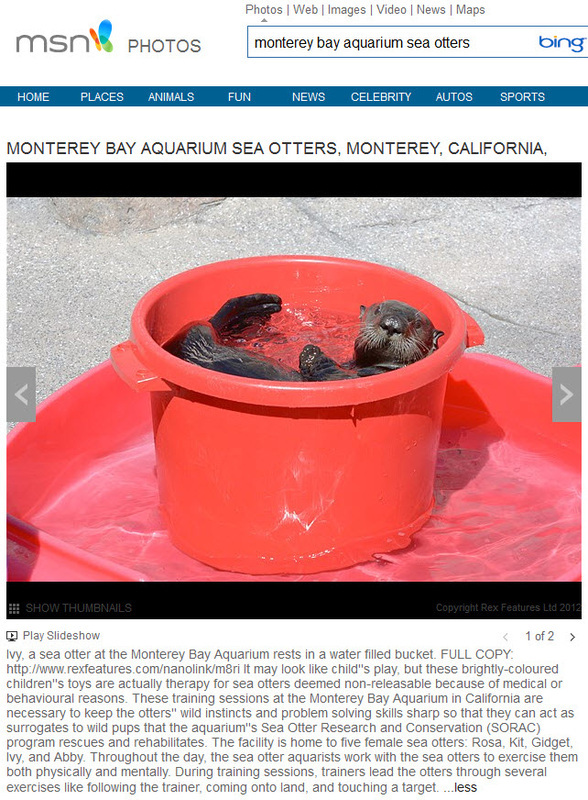 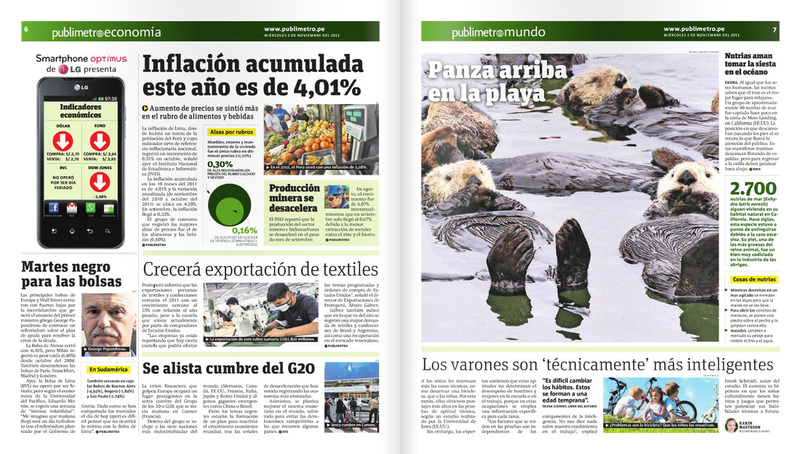 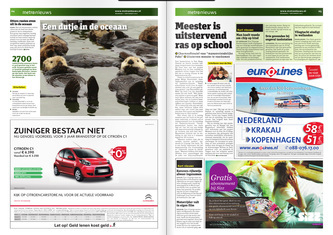 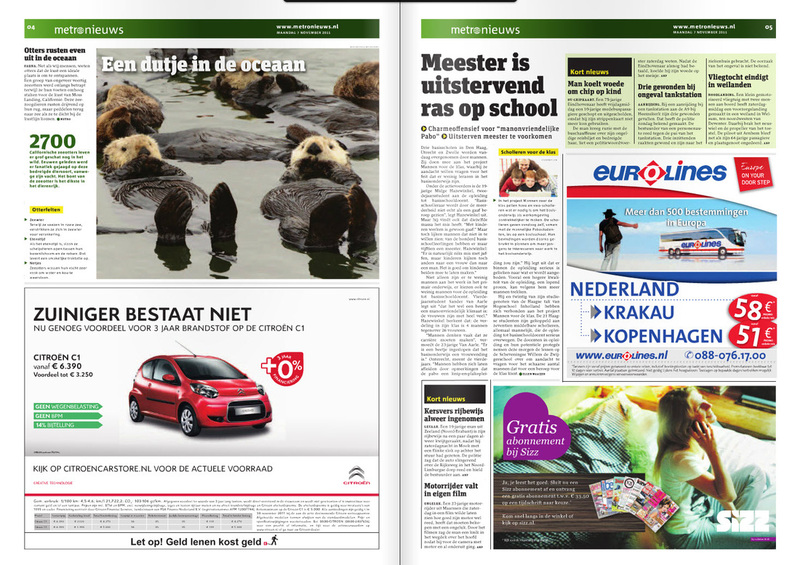 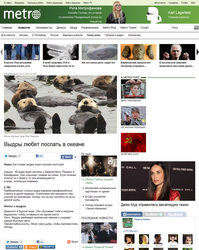 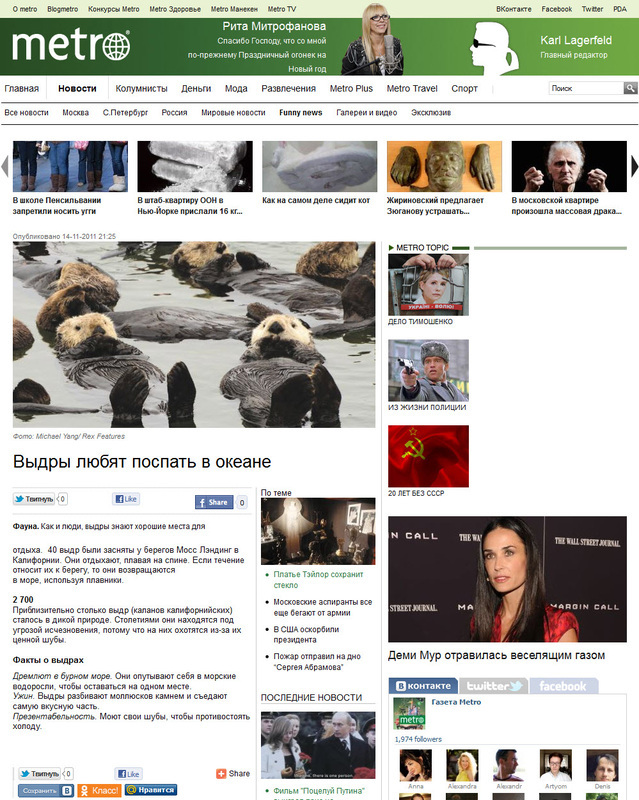 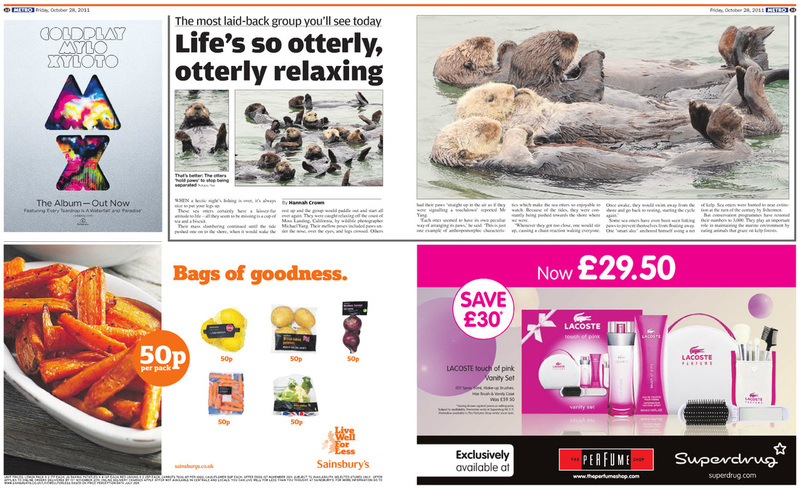 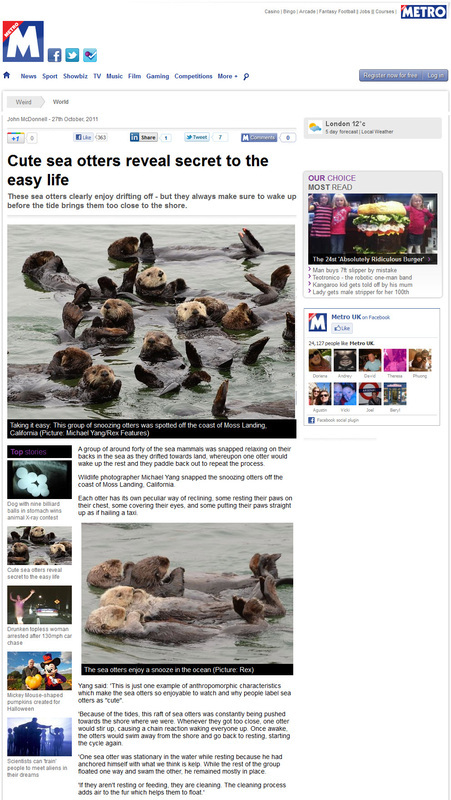 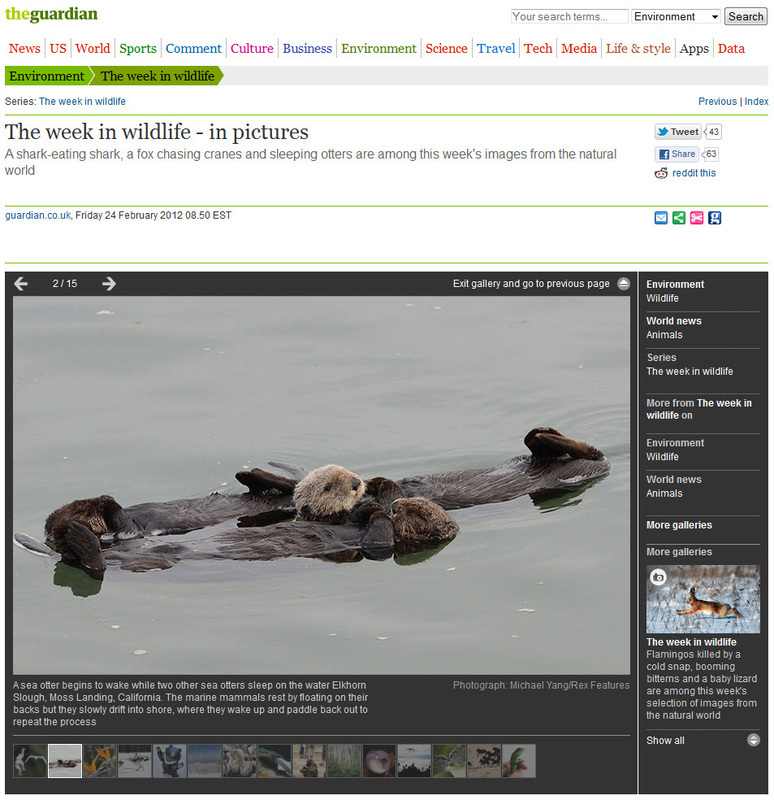 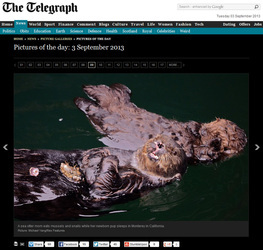 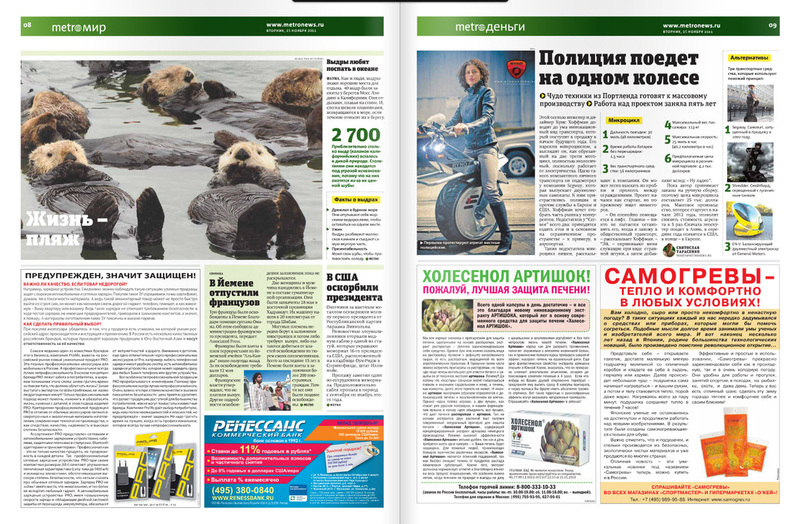 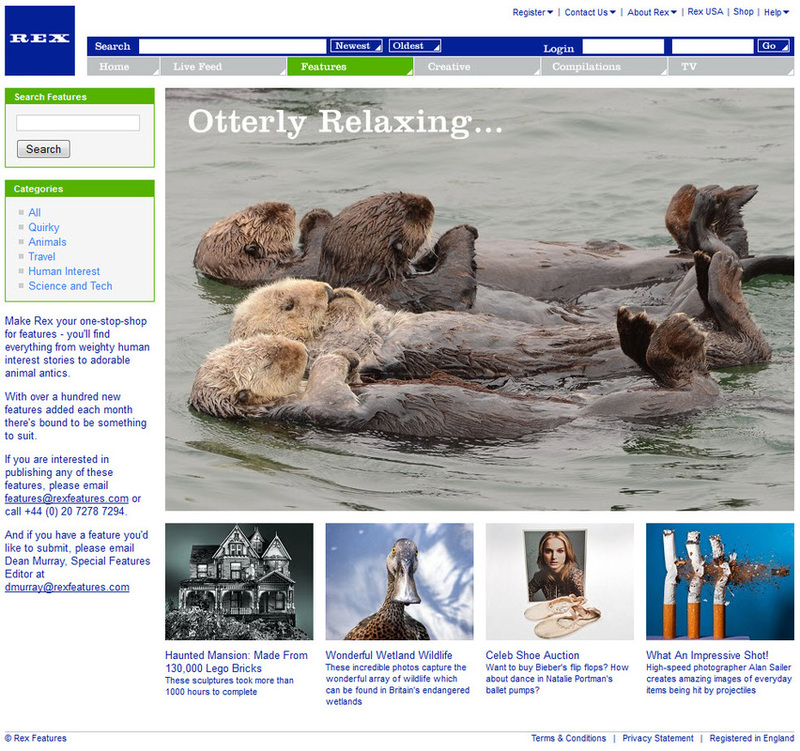 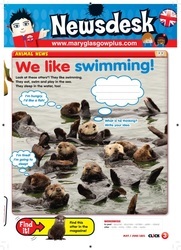 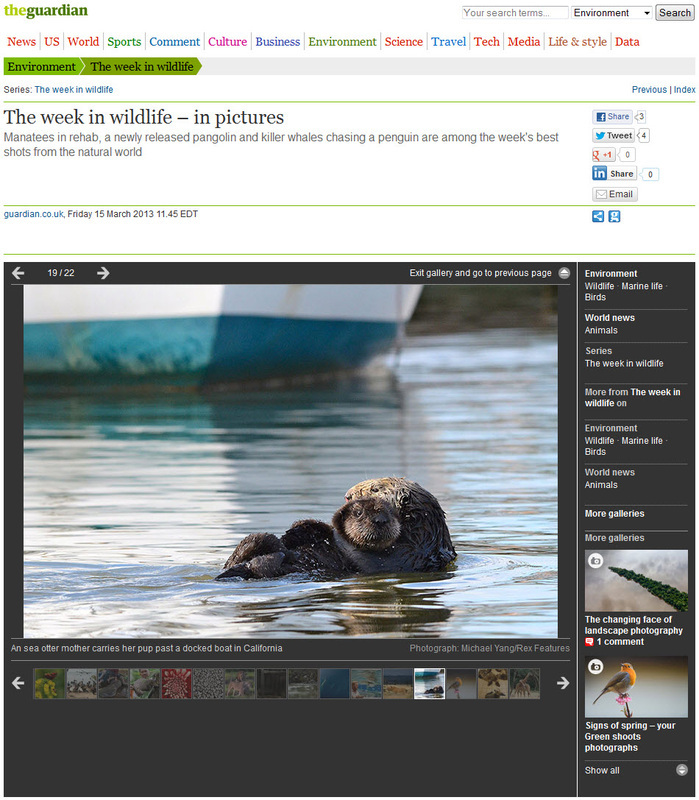 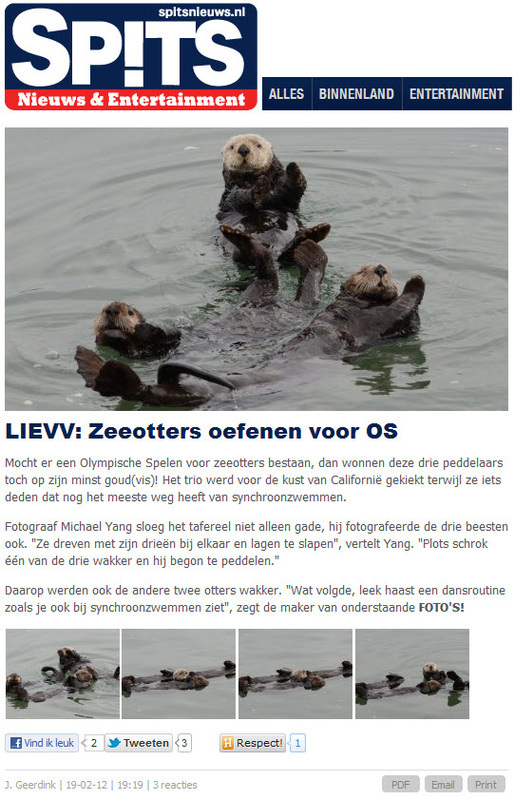 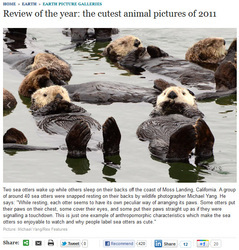 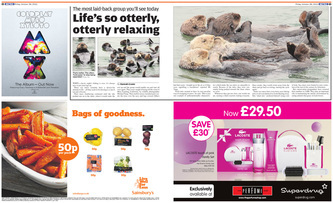 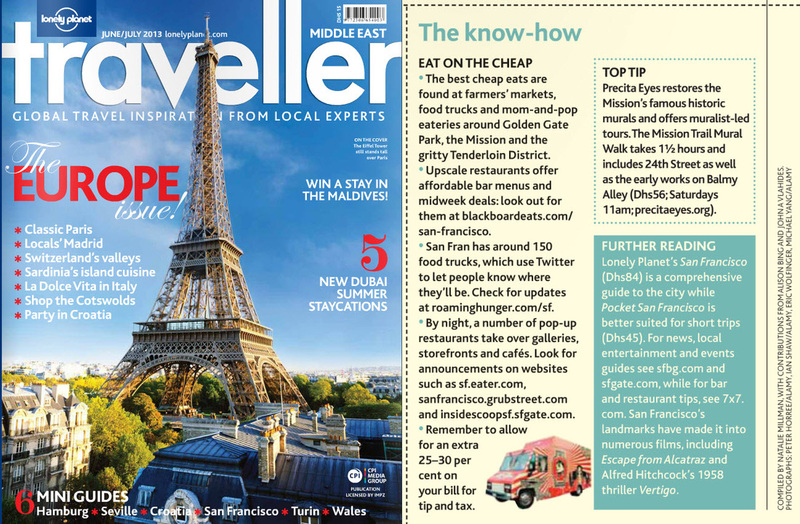 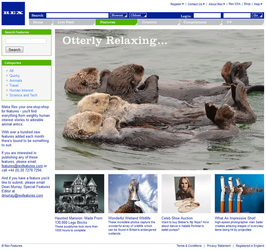 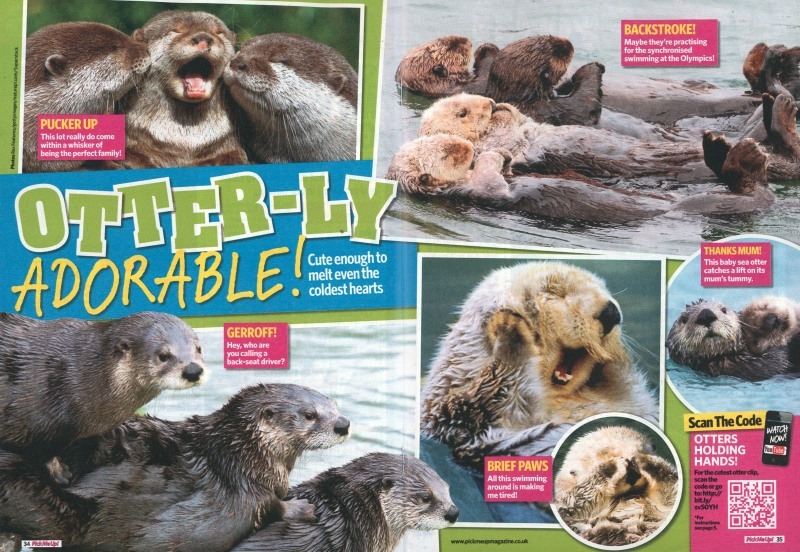 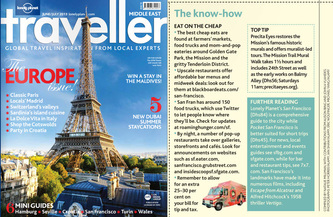 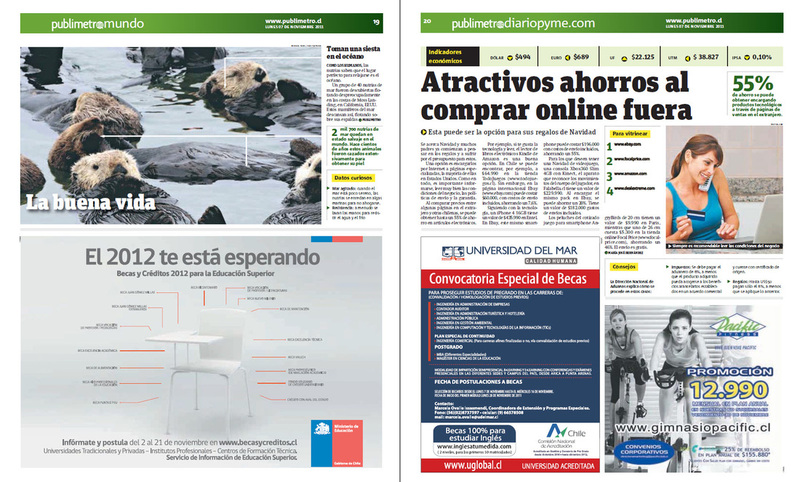 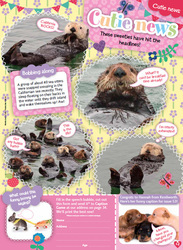 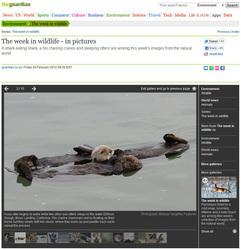 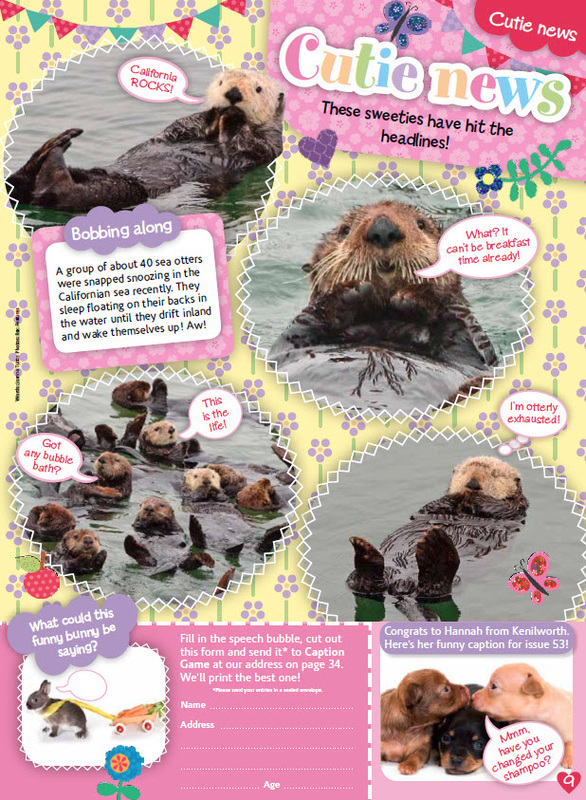 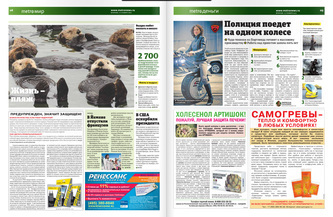 Sea Otters Relaxing appeared in over 20 publications in 10 different countries through out the months of October and November, 2011. 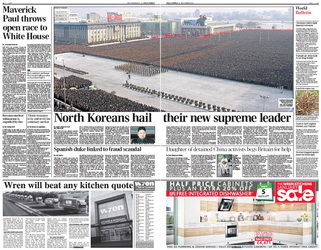 They appeared in most major newspapers in the UK including the Telegraph, Guardian, Sun, Daily Mail, The Sunday Times, and Metro.